If you are a parent, you are probably familiar with one of Albert Einstein’s lesser-known theories: The smaller the kid, the larger the pile of art they will produce. 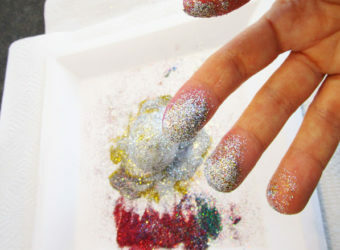 From early crayon scribbles and reams of sticker-covered computer paper, to colourful splats of paint and remarkably strong renditions of dogs… kids make art. Lots and lots of art. The question is, what to do with all the creative output? 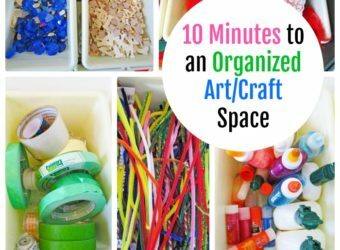 One answer involves using state-of-the-art technology to archive all the fabulous handiworks your children make at home, at school and at camp. Here are my favourite art storage apps. You’re welcome. Register with your Facebook or email account. Add your child’s profile photo, select boy or girl, and include a birth date. To start a gallery, simply add an image. Happily, you can crop, rotate and adjust the brightness of all the pictures you upload. Next – if you wish – you can a title, voice recording, video, date, and location. If you want to skip those steps, you can because everything is optional. But really, how neat would it be to have a voice recording of your child describing his/her paintings? After the first image has been added to the first profile, you are asked if your kid has any siblings. You can set up those profiles at this time. You can then add your child’s other mom or dad and any further family or friends so they too can add memories and make comments. Or you can skip this step. At any time, you can easily add fans, tell a friend, adjust settings, comment on the work, link to your Dropbox account or send feedback. 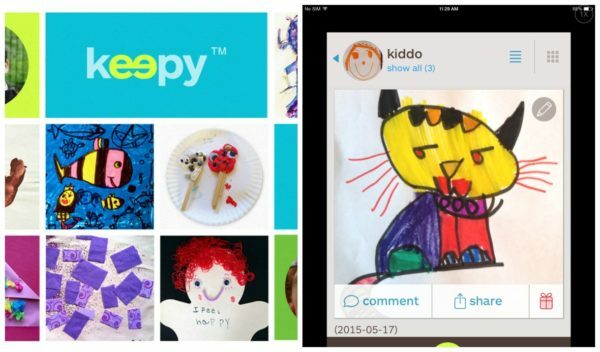 Keepy encourages users to think beyond the artwork box as the app can be used to archive all sorts of moments and events from your child’s life. You can add fifteen photos or videos a month for free. If you will be adding more than that, you can purchase a subscription which gives you even more space. The cost for that is $5.99/month or $39.99/year. You could win a one year Keepy subscription! See below for details. 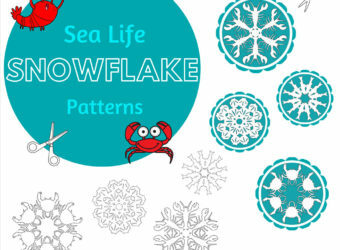 Some of the more than sixty-five customizable options available include coasters, key chains, bags, t-shirts, lunch boxes and my favourite – gift wrap. Prices range from $1.20 for postcards to $226.00 for a messenger bag. The ability to attach video or sound recordings to images is cool. Those who view your child’s images (grandparents, aunts, cousins, etc.) can also leave video/audio recordings. No way to opt out of the birth date. 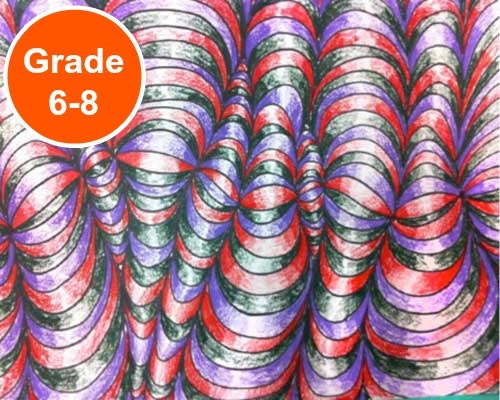 When you sign up with ArtKive, you will be asked for your name, email address, and your child’s name (grade or age can be left blank). Once you save that information, you can start uploading images or you can add more children. You can rotate and crop the images you upload but I could see no way to adjust brightness. 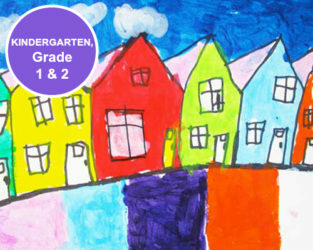 With a sliding selector, you choose which kid created the artwork, add a date and an age or grade. 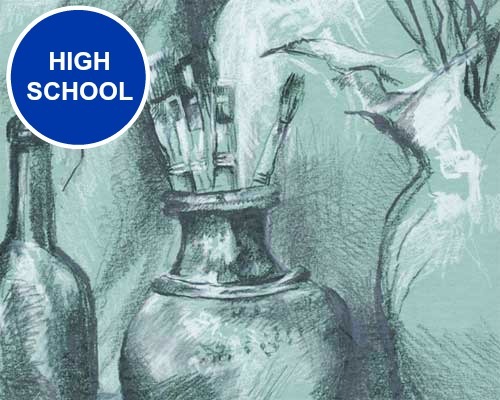 You can also drop in additional information such as a title or a description of the artwork. 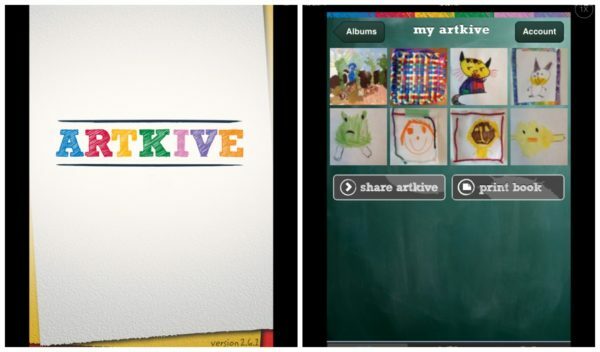 Pictures are saved to your private Artkive account or you can save and share them with members of your sharing circle and/or the ArtKive Museum. If you do share the images with the museum, they will be visible to anyone with an Artkive account. 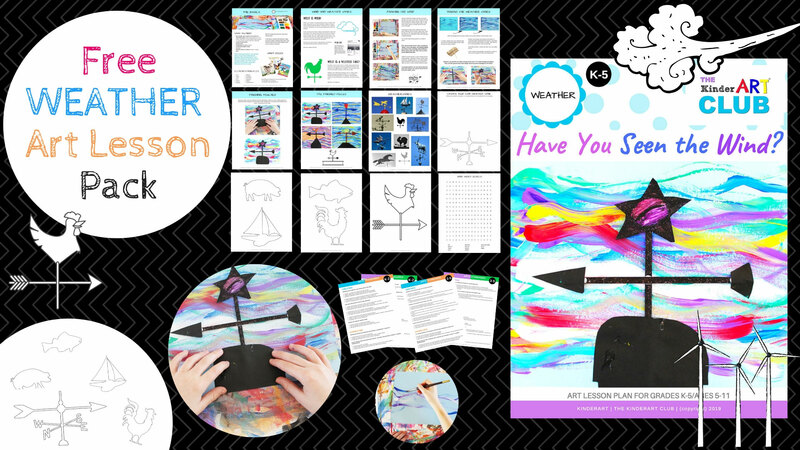 Once you upload twenty images, you can create a printed book with your child’s art! Prices range from $25.00 up to $102.50, depending on size of book and number of pages. 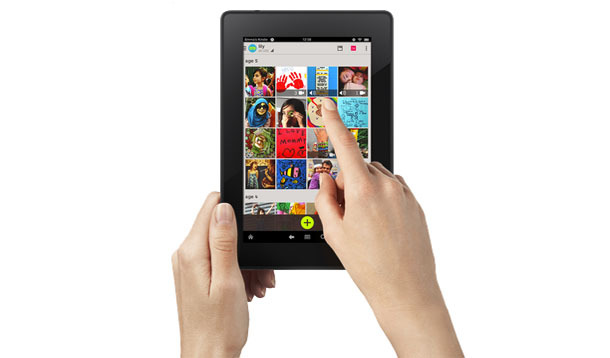 Or, if uploading the images is too much for you, ArtKive offers a service where they will photograph your kids’ artwork, digitize it, add it to ArtKive and send you a printed book. This service starts at $149.00. There is a “share circle” feature where you can specify who will have access to your child’s images. The printed books are fantastic. You are asked repeatedly if you want to share the work. Register with an email account, choose a username and then create a nickname for your child while entering their birth date. The app is quick to explain that the data is used solely for dating art purposes. You can then determine your privacy and sharing settings, which you can turn off or on at any time. If you share with ArtMyKidMade, then all users will be able to see your kid’s work through an Artist of the Day feature as well as via the Recent Postings button. 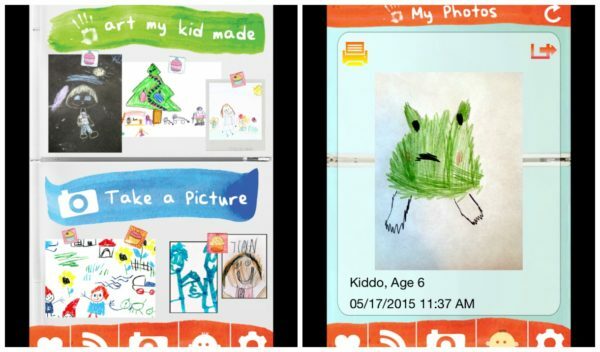 You can also choose whether or not you would like to share your kid’s art on Evernote, Dropbox, Twitter, or Facebook. Finally, you can select the fridge background, which appears behind your child’s creations. I chose baby blue. 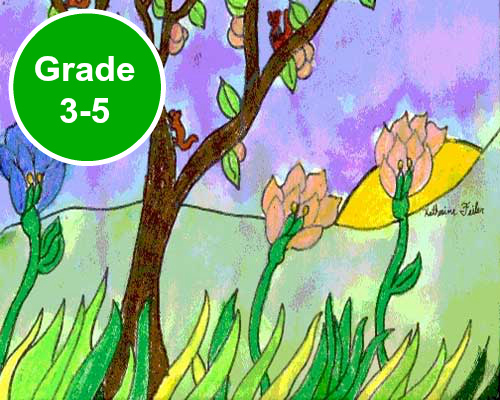 When you add your child’s artwork, you can rotate, flip, crop or adjust the brightness. Also, there are scores of awesome effects (think PicMonkey) you can use. Then you are asked (again) if you want to share your image. If you don’t select any share options, when you click “share” the image will be saved to your own private gallery. At any time, you can choose to print the image(s) with a printer or print to a postcard. Price unknown. You can download a free sticker pack, so you can add hats, eye wear, and speech bubbles to the photos. There are a lot of steps to work through when adding images. You need to scroll down to see all the artwork. 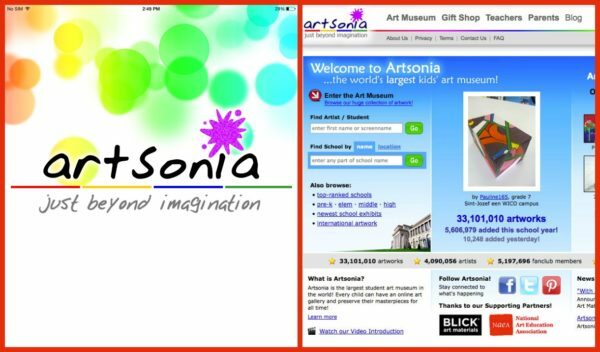 Artsonia is an online museum where teachers or parents can create online art galleries for their students and kids. 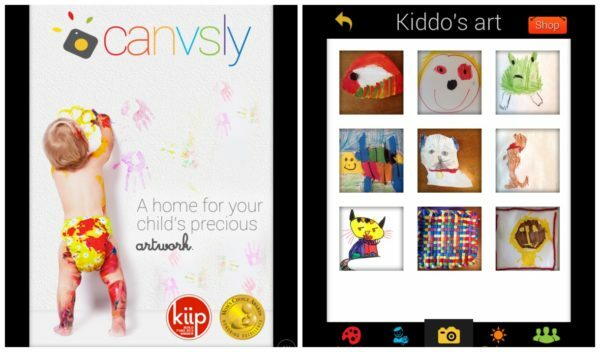 The Artsonia app enables parents to take photos of their kids’ artwork and upload the images to an online art gallery on Artsonia.com. Images can be cropped and rotated and the brightness can be tweaked. 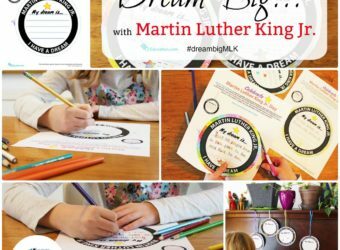 Once the artwork is published online, children can enter contests and family members can leave comments. 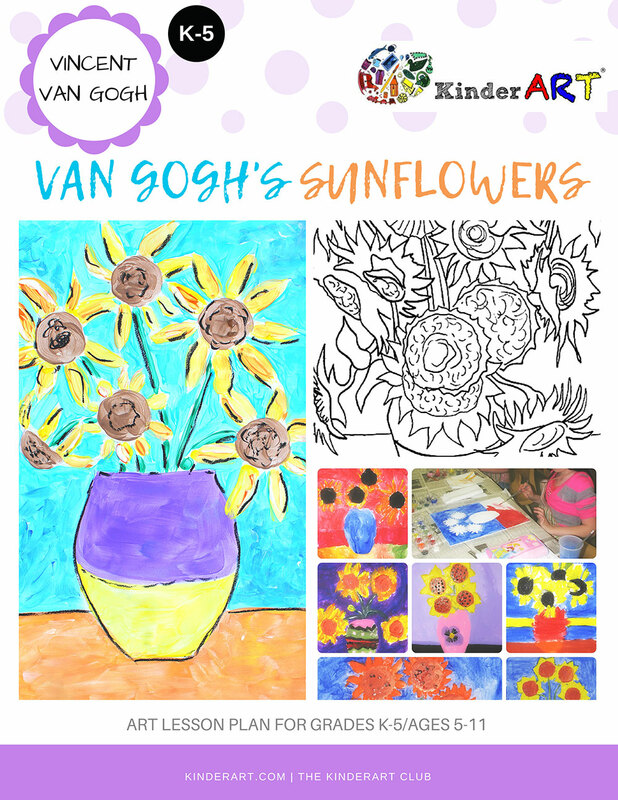 Prior to using this app, parents must create a free account at www.artsonia.com. 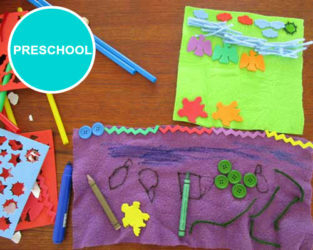 A variety of keepsakes are available for you to customize with your child’s artwork. Coffee mugs, jewelry, and phone cases are just a few of the options. Prices range from $6.95 for a bookmark to $29.95 for a portfolio book. You can add photos one at a time or choose the batch publish option to import one or multiple images. For those concerned with privacy, you should know that the artwork is publicly displayed online at artsonia.com. You can register with your Facebook account or with your email address. After adding your name and (optional) photo, you are prompted to enter your child’s birth date, grade and (also optional) photo. 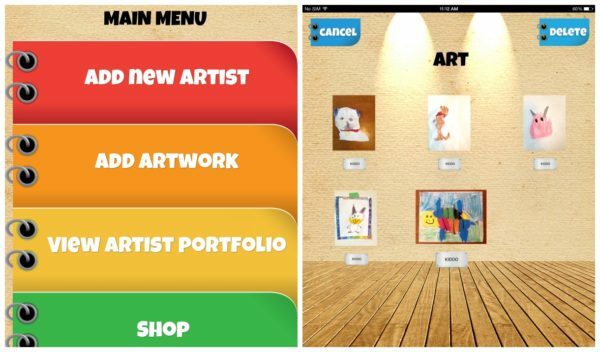 Next, you can create a circle, which gives you the ability to invite family and friends to view your child’s art gallery. Adding artwork is easy and you can crop, rotate and adjust the brightness of each image. You can also add add a caption and date before placing it in an album you create. Then, you can choose to share the pictures on Facebook, Twitter or via email (and with your circle). Through Fuji Film Smart Publishing you can print your kids’ art on magnets, mouse pads, mugs, ornaments and more. ($1.99 for 5×7 prints, up to $27.99 for a water bottle). Meanwhile, once you have added twenty images, you can create a book, which can be shipped (worldwide) or picked up (US only) at a Walgreens store. Price: unknown. You can earn badges, which is kind of fun. I have a Newbie badge. Rotating, then cropping rectangular images, results in images being “cut off” to fit into a square shape. First create an artist profile by selecting a saved image from device to be your child’s profile pic. (No editing features available.) Then, start uploading your child’s artwork. You can rotate the images and adjust the brightness but there is no ability to crop. Once uploaded, the images can be saved (Dropbox, camera roll, KidPix gallery) and/or shared (Facebook, Email, Twitter, Tumbler). Artwork is displayed in a grid format and is fun to view, as the background is set up to look like a real art gallery. Once five images are saved, you need to purchase more space. Unlimited archives are $3.49. More picture frames are $1.19 for a bundle of twenty-eight and a slide show feature costs $1.19. You can turn artwork into postcards or you can buy one of several photo keepsakes including mouse pads, water bottles, 5” x7” pictures with easels and magnets. Prices range from $0.15 for a photo to $19.99 for a mug. Background image looks like a real art gallery. The picture frames are cute and colourful. In addition to apps for kids, the developer also creates software with “suggestive” adult content and as such, ads do appear on the screen. For example, a Game of War video game ad featuring scantily clad female warrior appears upon opening the app. It can be “x’ed” out, but it’s still annoying and could be shocking if kids are accessing the images. The developer’s website appears to be defunct. This post originally appeared on the Yummy Mummy Club.